Welcome back for another edition of my monthly movie reviews. In part 2, we have some new releases and some that have been out for a while now. Also, some that I have seen before but love to watch again. Lets get started. 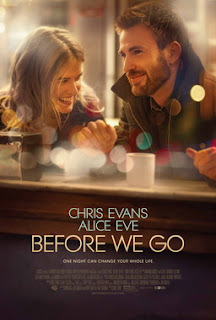 Before We Go (2014) - I didn't realize this movie came out two years ago. I thought it was a recent release, but what ever. Didn't stop me from watching it. I got really board with the dialog, because that seemed to be all there was, and I waited patiently for something to happen that was exciting, but it never did. I almost turned it off, but the movie was on my Chris Evan's list so I decided to finish it. If you like quiet romantic dramas, then you will probably like this movie. 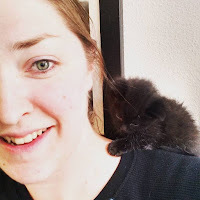 As for myself, I was not impressed. If you're think about watching Before We Go, but are on the fence, watch the trailer here. I give this movie a 2 out of 5 stars for terribly unbelievable story line, but good acting. 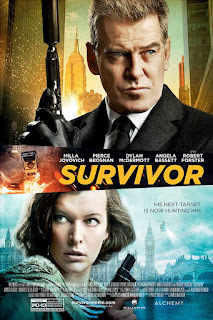 Survivor (2015) - Everyone who knows me will tell you that I am a big fan of Mila Jovavich. I think she is awesome, but this movie... Not one of my favorites. The movie is about a customs agent (Jovavich) who digs too deep into a man that is coming into the country and someone tries to kill her. There's lots of conspiracy, her boss is dirty and it has Pierce Brosnan playing an assassin that just can't kill his mark, poor guy. There was lots of action, but I found myself not really paying attention to the movie, I don't know if it was just that I was distracted by other things or if the movie was just that bland? Check out the trailer here, if you want. I'm going to give this movie 3 out of 5 stars for an epic ending and that snarl on Brosnan's face. 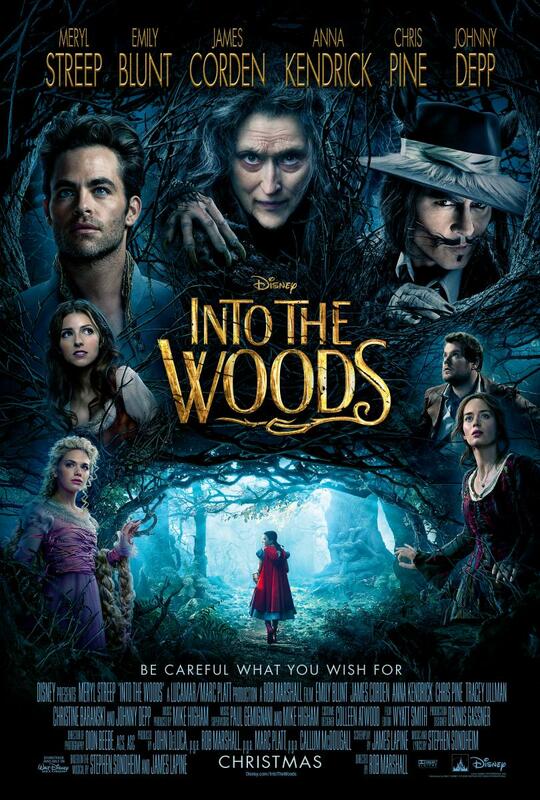 Into The Woods (2014) - I love all the people who act in this movie. Lets just face it, I love this movie and you're not going to tell me otherwise. I understand that not everyone likes a good musical, but I grew up on ones such as Seven Brides for Seven Brothers and Grease. I can't help myself. 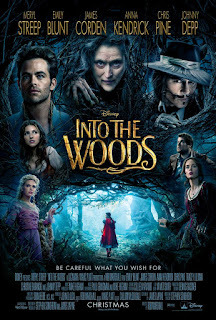 If you too like musicals and you love Meryl Streep, Chris Pin, Anna Kendrick, Jame Cordon, Johnny Depp and Emily Blunt (Say that five times fast) then sit down and watch this movie. The cast of characters take you on an adventure through the woods, each looking for something. The baker wants a child. Jack needs to sell his cow, but doesn't want to. Red is going to visit her sick grandmother and Cinderella is running from a prince. All their stories converge when a giant threatens the lands and the truth about their characters comes to a head. Can they all hold it together long enough to save themselves, or will they fall apart and allow the giant to kill Jack? You're going to have to watch to find out. Here is the trailer. 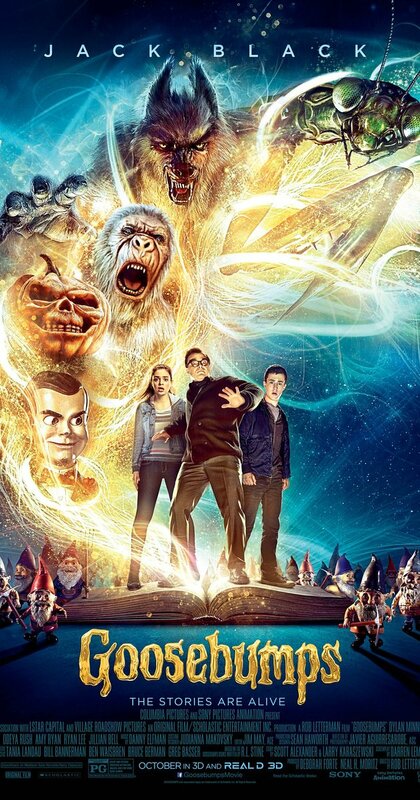 Goosebumps (2015) - I know a lot of us read Goosebumps books when we were kids. Well, this freaky thriller lives up to those books and gives us a twist that intertwine the books in with the movie plot. This teen moves next door to a weirdo with a daughter, but of course the teen and his nasty boy hormones can't stay away, and brakes into their house when the weird dad is out. Something happens, of course, and the Goosebumps books that hold the monster are opened, releasing their havoc on the whole town. The whole movie is spent trying to figure out how to get the freaking things back into the books before they destroy the town. There are scary little gnomes, and a giant yeti, and don't forget a rally creepy ventriloquist dumby named Slappy. You remember Slappy? I'm going to give this movie a 4 out of 5 stars, because Jack Black is awesome, but I would have liked to be freaked out a little more.